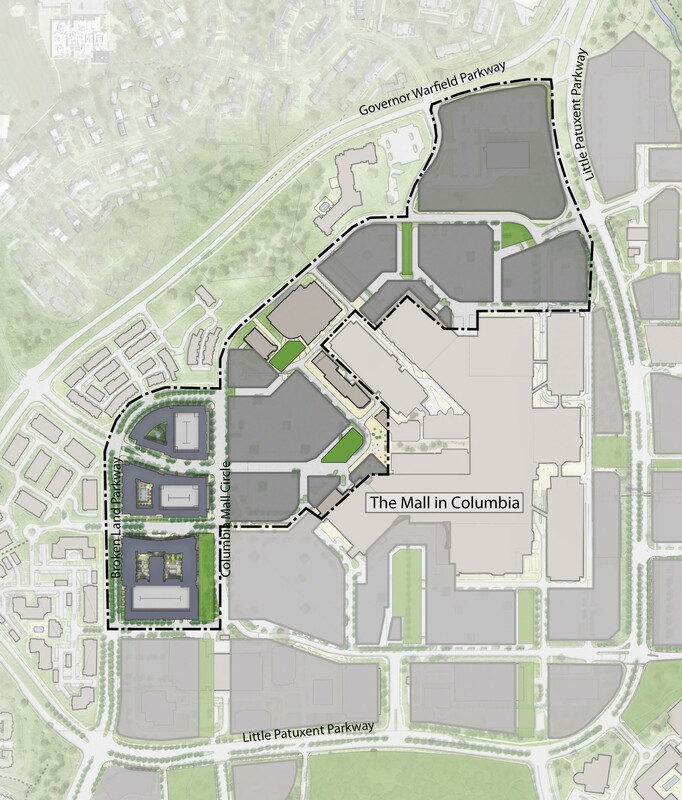 Following the 2005 Columbia Town Center Charrette and the 2010 adoption of the Downtown Columbia Plan, Design Collective prepared multiple neighborhood-specific master plans and design guidelines for Downtown Columbia’s continuing revitalization and transformation. 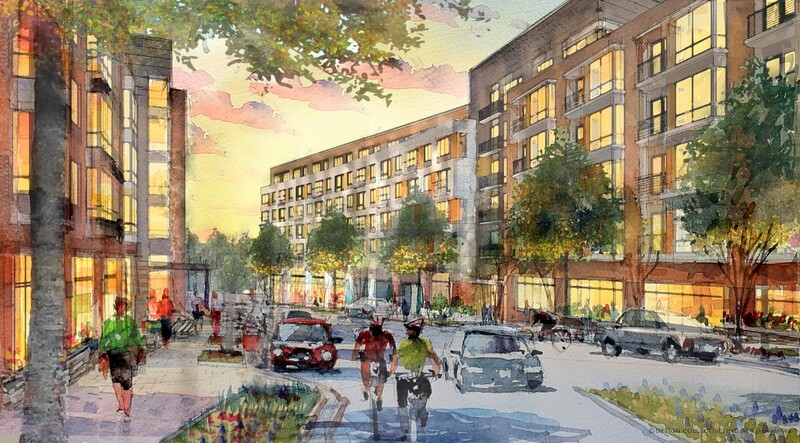 For the Warfield Neighborhood, Design Collective prepared a detailed master plan and a full set of neighborhood-specific design guidelines including urban design, architecture, streetscape, open space, signage, and sustainability criteria. 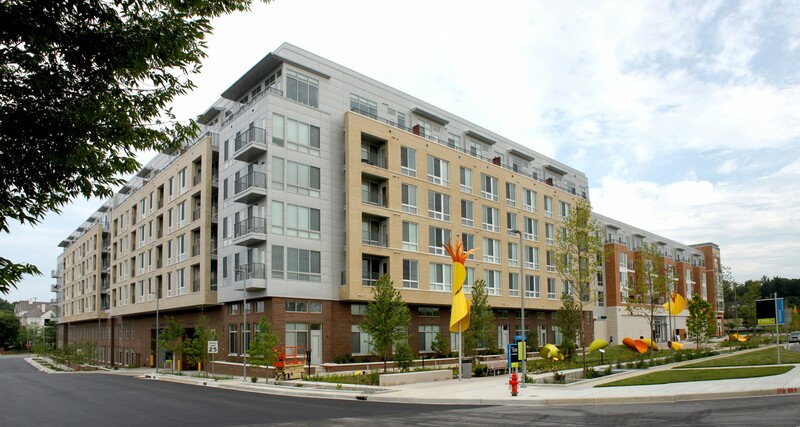 These efforts have led to the construction of several large, mixed-use buildings in Warfield, designed by Design Collective, including the built Metropolitan Downtown Columbia, a 375-unit six-story apartment building with amenity space, structured parking, and ground-level shops and restaurants fronting a public promenade. 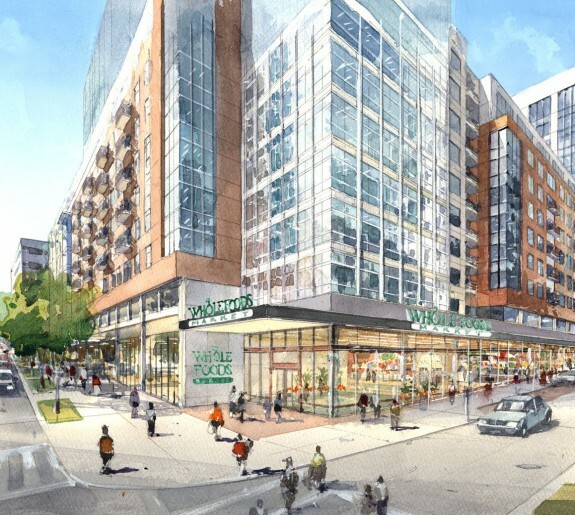 Additionally, TEN.M and m.flat are under construction as two new mixed-use, five-/ six-story buildings featuring a total of 437 residential units, additional retail and amenity space, and structured parking. All buildings are designed to achieve LEED Silver certification with the U.S. Green Building Council and, together, complete the first 3 new urban blocks with innovative, integrated stormwater facilities and streetscapes that accommodate pedestrians, cyclists, transit riders, as well as motorists. 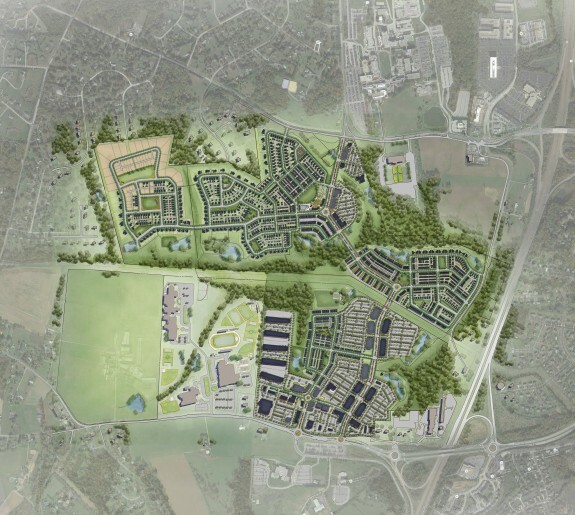 This first phase of development is part of the larger revitalization plan that will provide up to 13 million square feet of net new density consisting of approximately 5,500 residential units, five million square feet of office, one million square feet of retail, and up to 640 hotel rooms. 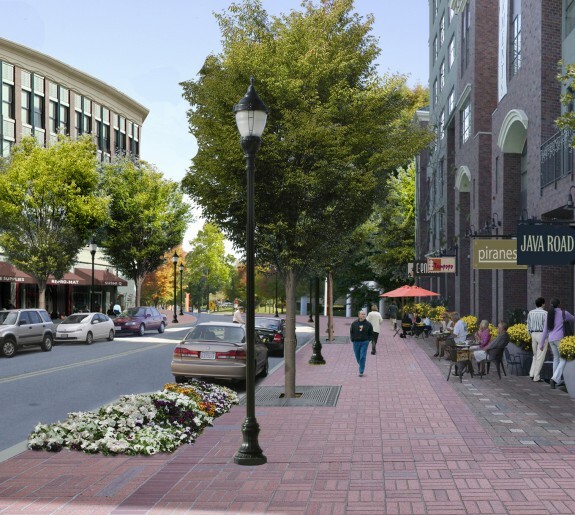 Additionally, Design Collective prepared streetscape and open space construction documents and construction administration for the first 3 full blocks of Warfield. Design elements include a new public promenade with play sculptures, environmental art, outdoor seating and dining, lighting, pedestrian crosswalks, and bike facilities/sharrows. The streetscape additionally includes an innovative stormwater management approach that links green roofs, on-site bio-retention, internal private courtyards, and street tree planters that collect and filter stormwater from the site and adjacent streets.